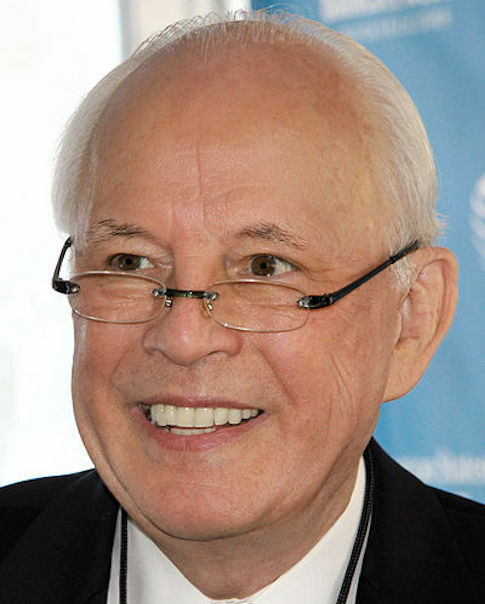 Set to testify on Friday in opposition to Brett Kavanaugh's confirmation to the Supreme Court is John Dean, a convicted felon and disbarred lawyer who gained fame for flipping on former President Richard Nixon during Watergate. Senate Democrats will bring Dean, who served prison time for obstruction of justice, in front of the Judiciary Committee on Friday afternoon to "speak about the abuse of executive power," said Sen. Dianne Feinstein (Calif.), the committee's top Democrat. Dean became a central figure in the Watergate affair after he approached prosecutors hoping for immunity for the criminal acts he said he committed as Nixon's White House counsel, an act that to this day has him being referred to as a "rat." He wound up giving highly watched public testimony that implicated the top figures in the scandal, allowing for him, despite the key role he played in the wrongdoing, to have his sentence reduced to next to nothing. The cooperation also allowed him to emerge from the scandal viewed by the public in a positive light, despite the fact that he lost all respect from the legal community. In February 1974, Dean was disbarred in Virginia for his "unethical, unprofessional, and unwarranted conduct in the Watergate affair," the New York Times reported. Dean moved on from his legal career to a career as a frequent critic of Republicans. He was a frequent critic of former President George W. Bush, authoring book, Worse than Watergate, which argued that the Bush administration's "tactics of deception" would end up doing "more damage to the nation than Nixon at his worst." Dean also has pushed his way into the spotlight in recent years to say that President Donald Trump is also "even worse" than Nixon. Dean has given numerous interviews throughout Trump's presidency, all following the same theme of being "more dangerous than Nixon." Dean now finds himself "back in the spotlight," the New York Times reported on Aug. 20, just after he was called a "rat" by Trump. Dean said he was "honored" to be called out by Trump, and just a few days later announced as the Democrats' star witness in this week's Kavanaugh confirmation hearings. It is unclear what legal expertise the disbarred lawyer will be able to impart to the committee, but he has already said he opposes Kavanaugh's nomination. Kavanaugh is widely expected to be confirmed to the Supreme Court before the November elections. This entry was posted in Politics and tagged Brett Kavanaugh. Bookmark the permalink.